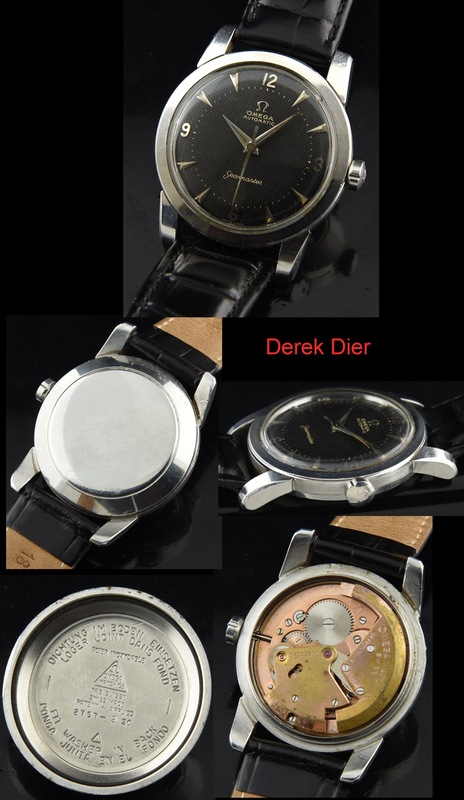 We used to find these early original black dial OMEGAS more frequently back 10 years ago. NOT ANYMORE! This original honeycomb dial 1954 OMEGA has an uncommon and completely original black dial with original Dauphine hands, raised steel Arabic and arrow markers. You really have to see how amazing this gilt print black dial looks in real life. The beveled beefy lug 34.5mm. steel case retains its original finish-very clean. The bumper automatic early OMEGA caliber 354 movement was just cleaned and accurate. The OMEGA winding crown is correct. similar watches like this are over $2000 on other popular vintage watch sites. You can wear this fine OMEGA daily. 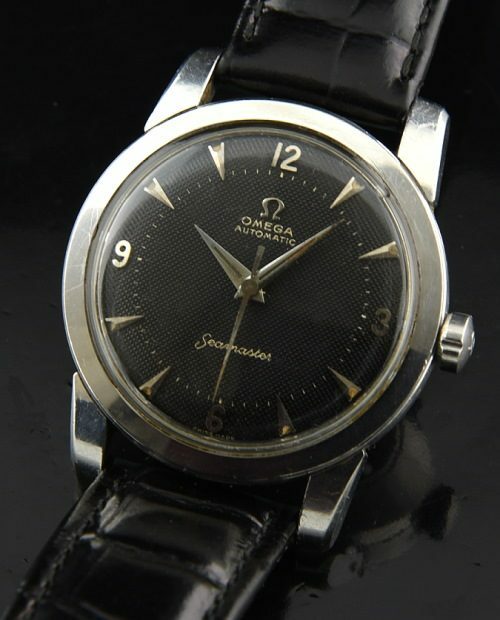 This very collectible OMEGA is a steal at this price. Good luck finding another similar!